Read about sample rate and how PMI recorders' high sample rate help to better PQ investigations. A reasonably high sample rate is needed to acquire the necessary information for power quality analysis. It must be high enough to capture relevant data but not so high as to adversely affect the cost and performance of the device. All of PMI’s power quality recorders sample input data at a rate of 256 samples per cycle or greater. 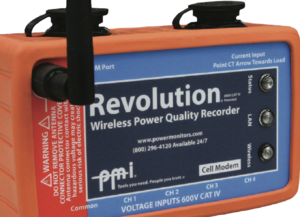 This allows for the same available power quality data across all recorders in PMI’s product line. The Revolution samples even faster in order to capture high-speed transients and is able to calculate interharmonic content as well. The high sample rates and capabilities of PMI’s Revolution, Guardian, and Eagle products allow for in-depth power quality investigations to meet every need.